The ostensible purpose of this work is to illuminate the inner workings of the Liberal Party, especially during the first eleven years of Trudeau leadership. The book was planned on the assumption that Pierre Trudeau would resign in 1979, since much of it reads like an account of his political “decline and fall.” The 1980 restoration intervened, however, and so Ms. McCall-Newman leaves us with a rather inconclusive ending and a promise to finish the tale at some unknown later date. Given the ambiguous conclusion to the book, the focus of the work is often unclear. For instance, topics dealt with include, inter alia: the organization of the Liberal Party, its patronage system, the evolution of major policies, particularly the response to separatism, the restructuring of central government decision-making processes under Trudeau, and the party’s loss of popular support culminating in the 1979 election. The author also takes several excursions into party history as far back as the days of Mackenzie and Blake. However, the organizing framework of the book is biographical sketches of five leading Grits (Trudeau, John Turner, Marc Lalonde, Keith Davey, and Jim Coutts) and a fellow traveller, Michael Pitfield. There is a large cast of supporting characters, so large that one gets the impression that every active Liberal in Canada has been mentioned somewhere in the book. The biographical treatments are not entirely successful. We learn nothing new about Trudeau, for example, that has not already been dealt with in the biographies by Radwanski and Gwyn or revealed in Margaret’s public ramblings. The sections on Davey and Coutts, while presenting material likely to be new to most readers, read like caricatures. One is struck, for instance, by McCall-Newman’s frequent forays into the kinds of food and drink her subjects favour (a proclivity common to books of this genre), and how little time by comparison is spent on what, if anything, these men believe in. Perhaps the best study is that of John Turner, although the author does not completely overcome her positive bias towards the former Finance Minister. 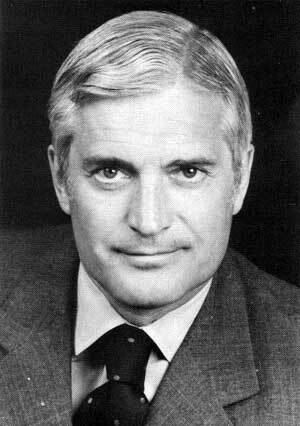 Unquestionably, any study of the contemporary Liberal Party must consider the political legacy of John Turner. He continues to command a large following in his party, and among the electorate at large, if opinion polls are to be believed. He embodies a mix of attributes dear to the hearts of political managers everywhere, and he represents the brand of political flexibility which has been a crucial element in Liberal electoral success. Predictably, he has for a long time been regarded as Grit Crown Prince, a reputation accounting for the abysmal state of his relationship with the Prime Minister. Yet one wonders why Turner is such a favorite of the book’s author and so many of her media colleagues. Little important legislation bears his stamp; he was an undistinguished Finance Minister; and his treatment of his erstwhile cabinet colleagues has been faithless. The disproportionate amount of attention he continues to receive undoubtedly reflects the supremacy of political image in an age of media politics. Some readers will also question the author’s assumption that “great men” can independently mould affairs. Certainly, McCall-Newman leaves the impression that Liberal leaders operate in some sort of vacuum, or that they are completely masters of their destiny. Consequently, some important questions are ignored. For instance, what factors, other than the desire to stay in office, shaped the government’s response to major domestic and world problems between 1968 and 1979? What was the role of the political opposition in shaping these responses? The NDP is dealt with in the context of its support for the minority government of 1972 to 1974, but the Tories are relegated to a walk-on role. The omission of any discussion of the dynamic relationship between the Liberals and their principal opponents is to be regretted. Nonetheless, one learns a good deal about the Liberal Party from McCall-Newman’s account. Canvassed best is the Liberals’ fundamental weakness as a national party. The author links the disillusionment of Western Canada to Trudeau’s preoccupation with Quebec. She deals interestingly with the alienation of the country’s business elite from the Liberal government. Also well done is her description of the party’s patronage system. Pork-barrel politics are clearly an important ingredient in the party’s maintenance of any sort of organizational basis in much of Canada. Less effective are her occasional discussions of the various philosophical currents within the modern Liberal Party. The reader is left with the impression that the party really is nothing more than the embodiment of non-ideological, managerial-style, power-at-all-costs politics. Overall, the book is discursive and disorganized, though it is not without elements of considerable interest. It is of little academic significance, and represents instead a further addition to the established tradition of Canadian political journalism. In spite of a lengthy bibliography, McCall-Newman seems to have relied rather heavily on personal interviews for most of her information. The draw-backs of relying on selective, self-interested versions of events are obvious.